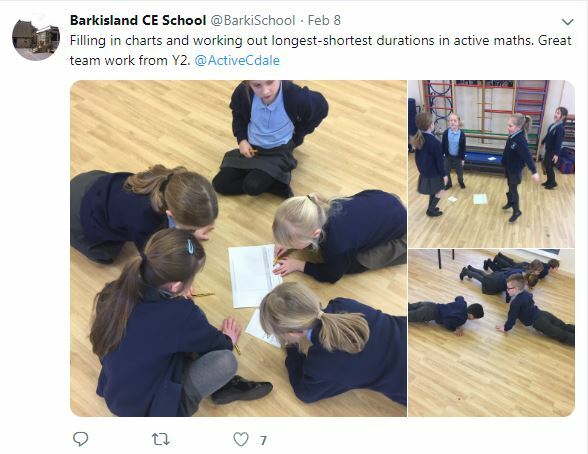 "A high-quality physical education curriculum inspires all pupils to succeed and excel in competitive sport and other physically-demanding activities. It should provide opportunities for pupils to become physically confident in a way which supports their health and fitness. Opportunities to compete in sport and other activities build character and help to embed values such as fairness and respect." 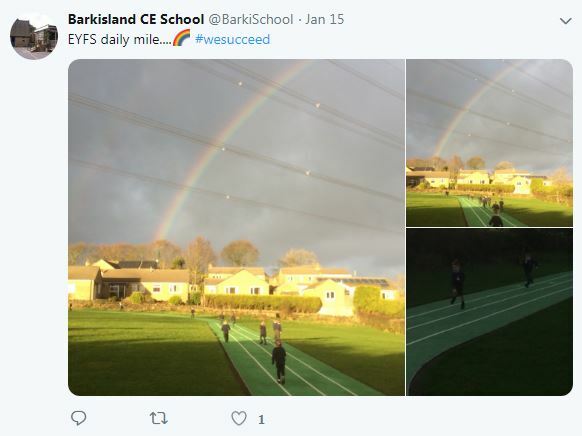 PE at Barkisland is taught through the 'Real PE' scheme. Giving EVERY child the physical literacy, emotional and thinking skills to achieve in PE, Sport and Life. We provide many opportunities for children to compete in sport through our excellent extra-curricular clubs including: boys' and girls' football, netball, dance, cross-country and hockey. 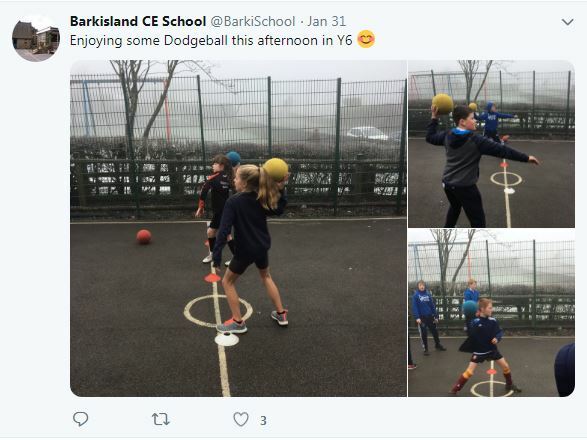 Our clubs change termly and other opportunities to play dodgeball, rounders and cricket are available in winter and summer terms. As well as entering teams into competitions throughout Calderdale. 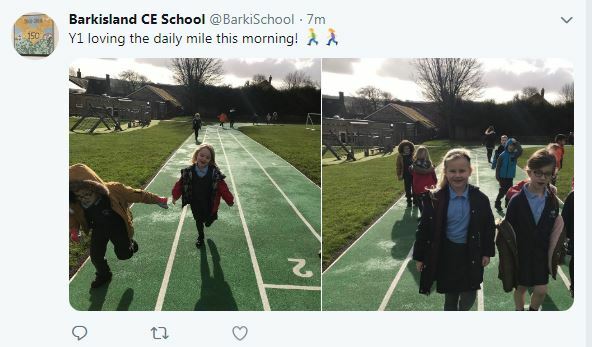 All children (and classroom staff) take part in our Daily Mile! 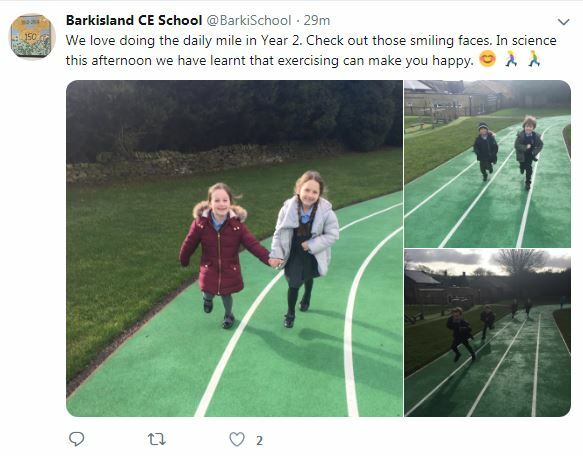 We use our bespoke running track encouraging children to get active for 10 minutes a day! 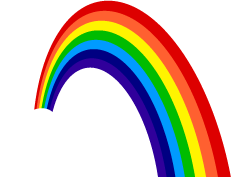 This keeps our children's minds and bodies fit and healthy! 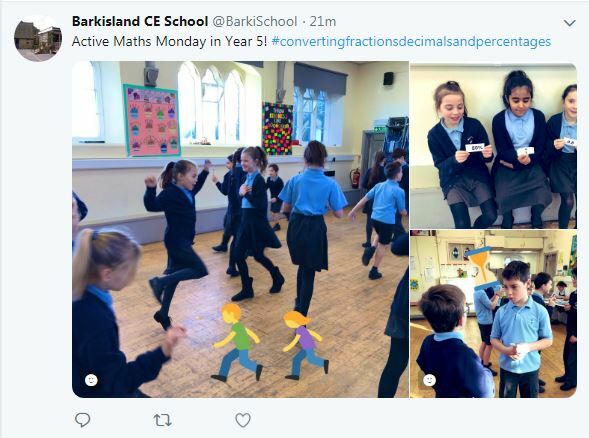 To encourage extra physical activity in class, each class has an active maths learning session once a week. 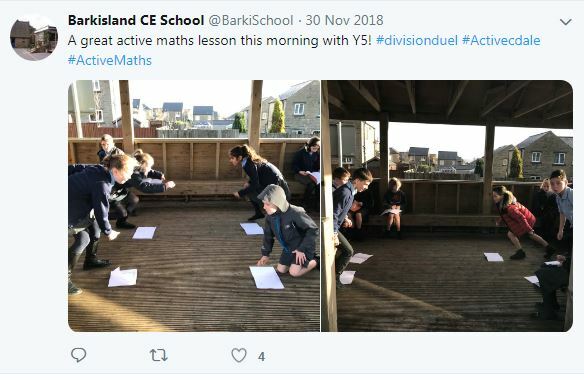 This is an entirely active maths lesson. A super, fun way to learn!